"Mario at LA Training Room is always getting me ready for my dancing contests and shows. In my field, staying healthy and fit is a must. Whether it is injury rehabilitation or just maintenance Mario @ LA Training Room is where I go. Thank you Mario for keeping my body going strong!" "While competing on Dancing With The Stars, I injured my back during the fourth week of the show. I was in so much pain, we feared I had broken a rib. Thankfully, my dance partner sent me to Mario. Under Mario's care, not only was I able to dance that week, but stayed in competition until the very end. I know my body wouldn't have made it through 3 months of extensive dance training without Mario." "Right from the beginning when I started my career as a pro hockey player, Mario prepared me for every game. Whether was massage, stretching or training he helped me go that extra shift on the ice. He is truly a talented and gifted trainer and massage therapist! He takes training and therapy to a whole different level. I highly recommend Mario!" "After playing for 20 years as a professional hockey player and after playing for several teams in the NHL, preparation and maintenance is an important aspect of my routine. 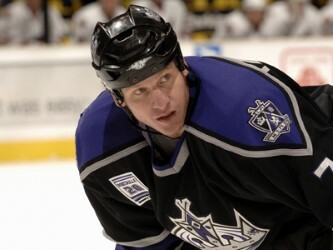 Mario helped me tremendously to recover between games and kept me tuned up and sharp throughout the entire NHL season." "It didn't matter whether it was injury rehabilitation, off season workout, or mid-season maintenance, I knew I was in competent hands! Mario has great workout programs that are creative, challenging and effective, and that makes La Training Room the best training room. It was a privilege and an advantage to have Mario as a trainer and massage therapist!" "In 18 years as a pro Hockey Player I know a great trainer when I see one. Mario fits that description. When I injured my groin while playing for the LA Kings, Mario's dedication and knowledge is what got me back in the game in no time. He helped me develop a mental and physical toughness that has really shown in my games. I strongly recommend his services. He is the best in LA. Period!"